Game area is pillarboxed by default. 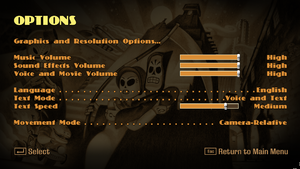 Option for 16:9 which stretches the game. 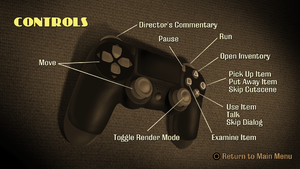 Analog stick works like 8-directional digital input. Use GrimPad for Xbox prompts. 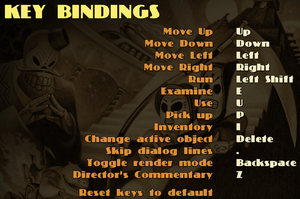 Open the Nvidia Control Panel, go to Manage 3D Settings, Program Settings. 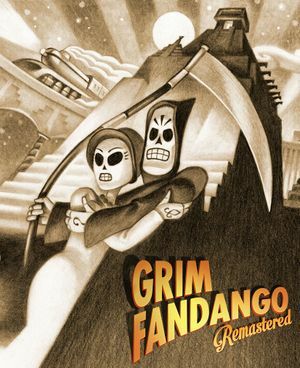 Set Grim Fandango to use the High Performance Nvidia Processor.